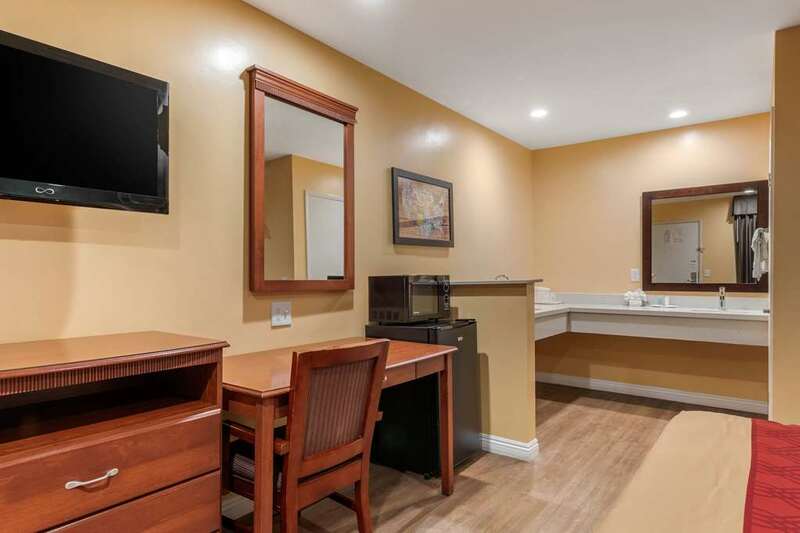 Rest easy at the Econo Lodge Carson Near StubHub Center hotel in Carson, CA. Our affordable hotel is easy on your wallet. Were near Los Angeles International Airport with easy access to Del Amo Fashion Center, Long Beach, Redondo Beach and Dodger Stadium. Enjoy our amenities that include free Easy Starts continental breakfast, free coffee and a guest use fax machine. Each relaxing guest room features a Flat-Screen TV, microwave, refrigerator, iron and ironing board. Select rooms offer a a hot tub. We support green hotel practices. Also, earn rewards including free nights and gift cards with our Choice Privileges Rewards program.